A typo in a North Korean website has allowed an Internet user to serve up anti-regime messages. 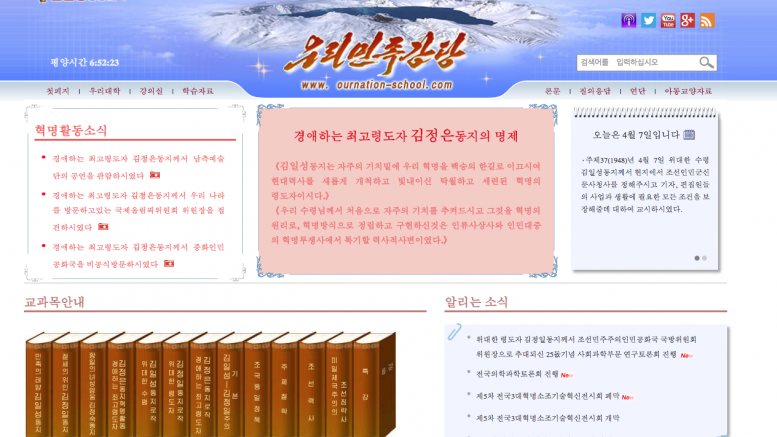 The mistake is made on Our Nation School, a China-based website that teaches juche philosophy and appears to be run by the same group behind the Uriminzokkiri site. In the top corner of the site are a series of links to the site’s content on social media channels including Twitter. The Twitter button links to @juche_school1, which is incorrect. The site’s actual Twitter channel is @juche_school (without the number 1). “I saw that their Twitter username they linked on their website is vacant,” said “Cyber Anakin,” the person behind the prank. They registered the Twitter name and created an account with anti-DPRK messages. However, a downside to this method is that because the Twitter name wasn’t registered, it started from scratch and currently has no followers seeing its messages. The motivation lies in the assassination of Kim Jong Nam in Malaysia. “Originally when I popped into the scene 2 years ago I was targeting Russia with my hacks. That changed when Kim Jong Nam was assassinated at KLIA,” the user said, referencing Kuala Lumpur International Airport. For now, Our Nation School is still linking to the prank account. 1 Comment on "Mischief with Our Nation website"